The Swatch brand made a name for itself during the 1980s as an innovator in watch manufacturing, producing a very broad range of limited edition designs at an affordable price. You were very uinlikely to ever meet someone wearing the same watch. Building on this success, Swatch went on to produce a range of telephones which, have since become collectors items. 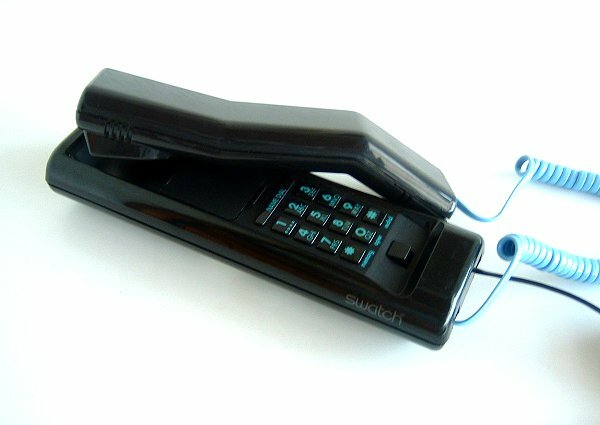 Our range of telephones below were all produced in the 1980s - all are original, fully-functional unused telephones. Please note, in general, no two telephones are identical.